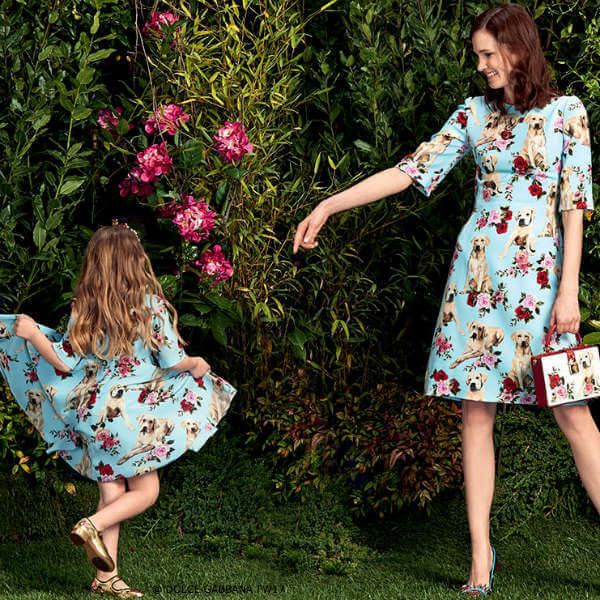 Perfect for your little dog lover, this DOLCE & GABBANA Girls Mini Me Blue Silk Cani e Rose Dress features a print of the designer's beloved dog Mimo. 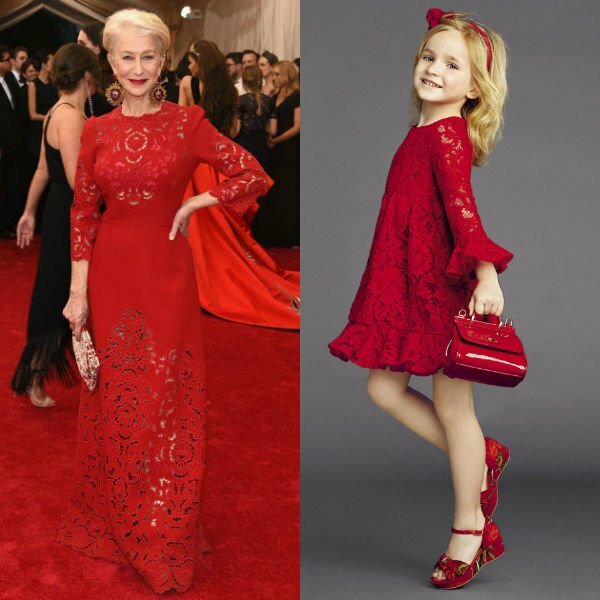 Perfect for any special occasion, this adorable Mommy & Me Look is inspired by Fall 2017 Dolce & Gabbana Runway at Milan Fashion Week. Luxuriously soft and floaty, this fresh powder blue silk dress by Dolce & Gabbana is perfect dress for moms, little girls and babies.